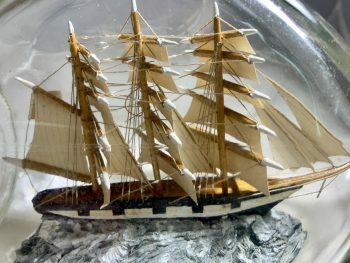 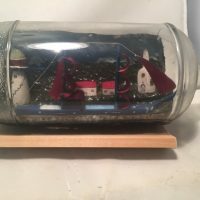 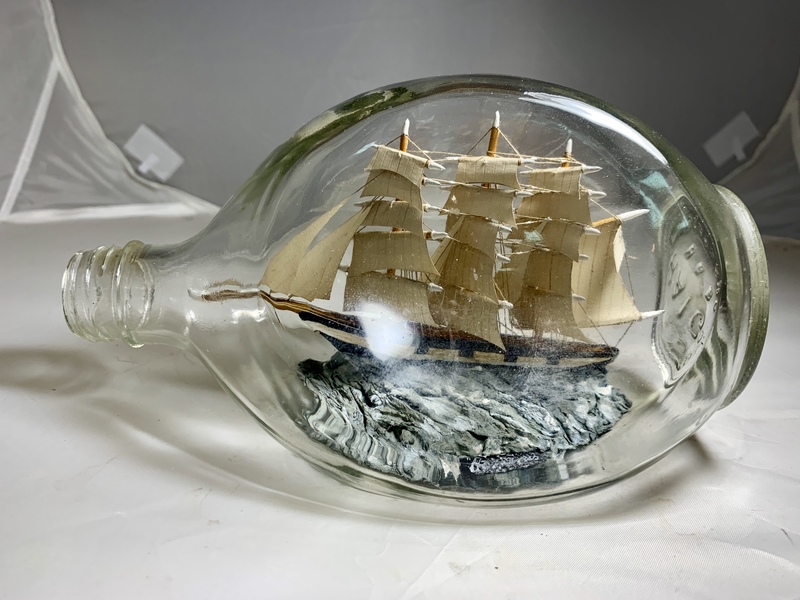 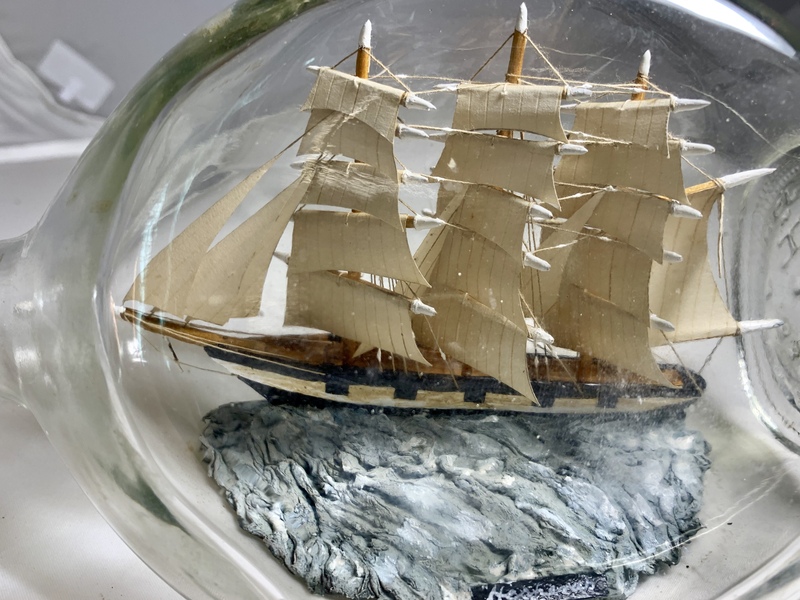 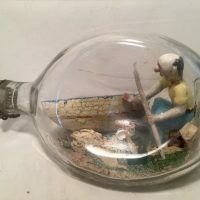 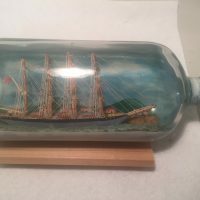 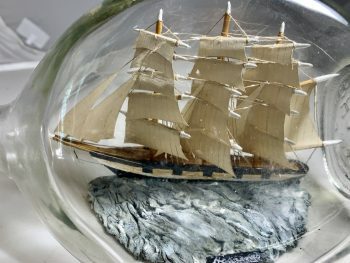 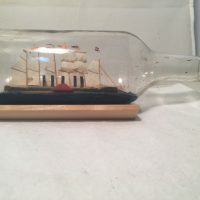 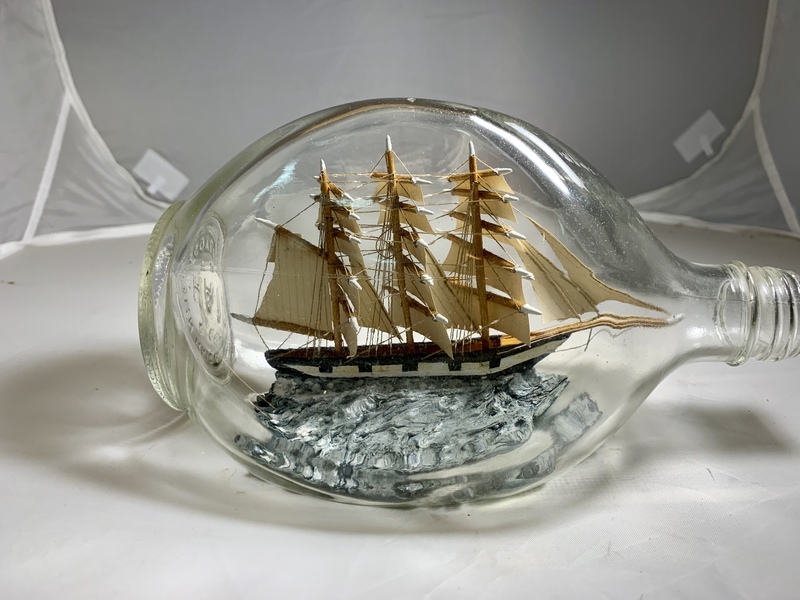 According to Provenance on Bottle , this is the first steel hull ship made, Purchased in England and a true one of a kind, She features a XL sized ship in the bottle, she really fills the bottle up. 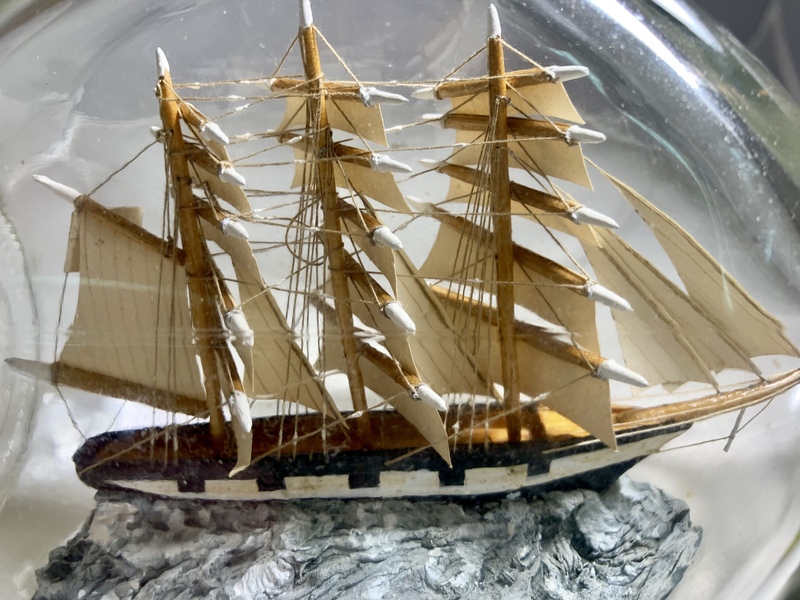 Very nice patina on sails, tight rigging, hand carved hull and nicely painted. Provenance is on bottom of bottle and a small Plaque is on the sea bed. 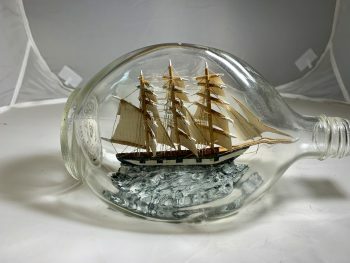 Personally I really like this one. 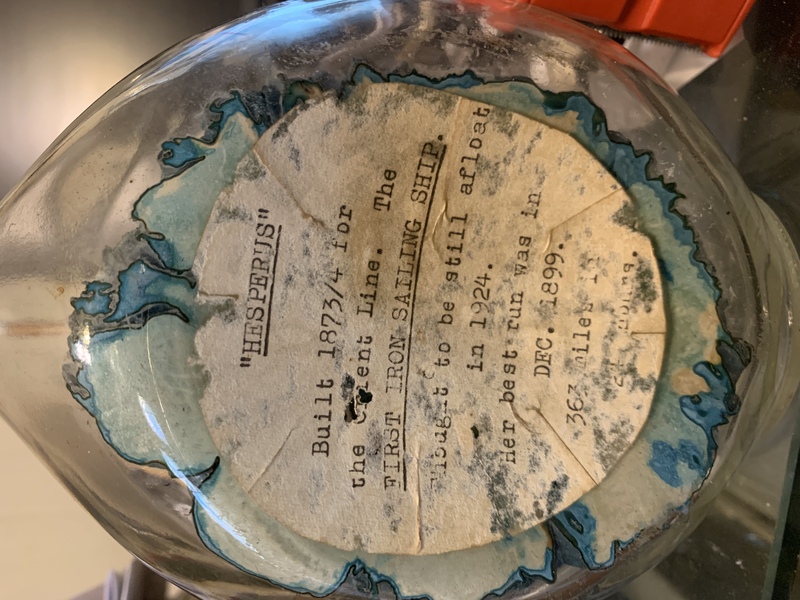 NOTE Sorry,no coupons or promotional discounts apply to her.